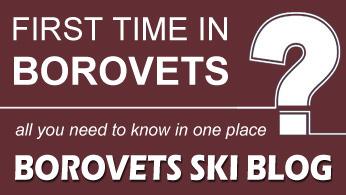 Frequently Asked Questions And Answers About Skiing In Borovets. Booking in advance saves you time and money (check our online prices). By making an online reservation with us you save up to 50% of the prices you would encounter on spot. You save yourself the trouble of wandering around the numerous overpriced ski rental shops looking for the best price and queuing for hours to buy your lift pass from the bottom Gondola station. By providing us with your information upon making the online reservation, you make sure we prepare your ski services well in advance. Kindly note that you can only take advantage of the online rates by booking in advance, once on spot you can no longer make use of those prices. Where is your ski shop in Borovets? Our ski shop is just a few steps from the main gondola station. It is located in the Hotel ELA (opposite Hotel Samokov). In case you have booked transportation with us, our drivers will drive you to show you the exact location. If you have arrived earlier, we advise you to come by and visit us, that will save you a lot from the hassle on the first skiing day (see a map here). 1: Please complete your reservation online, choosing the first date of skiing, the type of the package, and followed by assigning ski/snowboard services to each particular name from your party, your address in Borovets and a phone number of yours just in case. 2: You will receive an automatic confirmation from our reservation system on the e-mail address provided during the booking process. This confirmation includes an invoice, payable by bank transfer or online by credit card via our secure system for online payment (processed by Realex Payments and settled by EMS Card) or via PayPal, our booking conditions and ski/snowboard fitting instructions; using the login details in this confirmation email you can access your reservation online anytime if you wish to make amendments, to pay by card or PayPal, to cancel it etc. Note that the extended/upgraded packages are partially or fully payable on the spot, so please bring a valid credit card or cash with you on the first fitting day, when you will be required to pay the balance. 3: Mind the details inside the Important Instructions file you have received at the time of booking. 4: No photo is needed for the lift passes. 1: You will have to come to our ski shop in Borovets (see a map here) in the time slot you have chosen during the booking process. Please remember the booking confirmation number (can be shown on a mobile device as well, or printed). 2: Upon presentation of your booking confirmation to the ski rep in Borovets, you will be directed to the boot fitting area and the ski/snowboard adjustment desk; You will then be given your lift passes and will receive instructions about the ski storage (if any is booked). Note that even the most basic ski/snowboard packages including tuition cannot be collected any later than 09:00 AM on the first skiing/snowboarding day as ski/snowboard classes will already be underway and cannot be joined later. 1: First choose your boots and proceed to the ski/snowboard adjustment desk. You will be given your ski/snowboard with bindings adjusted to the ski boots as well as a customer card for storage (if booked). Once you have collected your equipment please proceed to the Customer Service desk to receive your lift passes to be given information about ski/snowboard school. If you get fitted on the first skiing day (and not the day before) you will be directed to the ski school meeting point (if booked). The meeting point for the ski/snowboard school opposite our rental shop, if you have any doubts about the location, please direct your question to our representatives when you collect your equipment/lift passes. Our group ski lessons for absolute beginners start off every Sunday. Coming on another day? No worries! Letting you join a group that already gained some skills and knowledge may cause you difficulties and stress. That is why we run a special service for all first-time skiers beginning their ski tuition on a day other than Sunday. You will be taught in a one-to-one manner or in a very small group as long as your ski instructor feels confident that you caught up the necessary skills and you are ready for a group that started their lessons before you. Despite the number of personalized school days you will need to achieve the skiing level of the others – the surcharge is fixed to only 30 Euro per person for the whole period! We will make sure you join the others in the group with confidence and no stress involved. When do my ski/snowboard lessons start? Ski group lessons start at 09:00 – 09:30 AM. The lesson ends at 14:30 – 15:00 PM. There is lunch break around noon and class usually stay together unless required otherwise. Snowboard lessons start at 09:00 AM or 11:00 AM depending on your snowboarding level. *Please note that group tuition slots may vary during busy periods – the exact time of group lessons will be advised on spot! Generally yes, but the on-spot rates will certainly be higher and always subject to availability! Further to that, you should consider a lot of time lost for negotiating and be queuing in different places for lift passes, equipment hire, lessons etc. The pre-booked services we offer help us to maintain very low price levels. If you only need to hire equipment, helmets, goggles or clothes you are welcome in our ski shop to make your choice on the spot. You can book private ski or snowboard tuition in Borovets with us online. Private tuition gives you a great opportunity to learn the basics or improve your abilities under the guidance of your personal English speaking ski/snowboard instructor. We offer 2-hour slots with a variety of starting hours for the service. You can book from one-day tuition to up to a 6-day package. For longer periods please contact us well in advance. Prices start from 25 Euro per person. What are my payment options on spot in the rental shop? You can pay only a deposit at the time of booking. The balance should be paid not later than a day before your first skiing date. Online payments can be done via PayPal or credit/debit card. Payments can be done also using transferwise/currencyfair or bank transfer. You are restricted to pay it full at the time of booking. Online payments can be done via PayPal or credit/debit card. Payments can be done also using transferwise/currencyfair or bank transfer. If you are renting/paying for other goods and services inside the ski shop, you can use cash (levs) or credit/debit card. American Express cards can be used via PayPal to make your reservation online. Note, there is no additional charge of using PayPal (American Express), compared to other credit cards. Once at the shop in Borovets, we accept American Express, Visa and MasterCard. Yes, we do, locally at our shop Ski & Board Traventuria. There is no need for reservation in advance. We have a selection of ski jackets and pants for rent. Sizes vary from child 3 yrs to XXXXXL. Also, a variety of goggles and helmets are available. Very few ski shops in Borovets offer ski clothes for rent. We have heard stories of very old ski jackets for hire, which have been used as jackets by ski instructors for several years. The clothes we rent out have never been used for something different. In general, lessons are carried out in English. Russian-speaking instructors can be secured upon request for private tuition mostly. Some of the ski instructors work for us, but during peak time we also use the help of fully licensed professional freelancers. Children between 4 and 6 years old can be booked in Ski Kindergarten, children between 2 and 6 years old can also participate in Non-ski nursery, which is only bookable on spot (based in hotel Rila). Keep in mind that children under 7 years old use the ski lift services free of charge! You can book kids younger than 7 on private lessons only. My child is under 2 years old, can he participate in the Kindergarten? The minimal age for Non-ski nursery is 2 years old. The non-ski nursery daycare does not accept infants and is only bookable on spot (based in hotel Rila)! Where is the Kindergarten located and what services are included in the price? The Kindergarten is located in either Hotel Samokov or Hotel Rila (subject to availability! there is no option to choose one over the other), across the street from our rental shop. The service is from 08:30 AM to 16:30 PM every day, price includes ski equipment, 1 or 2 hours a day tuition, depending on the age of the child, games and lunch. We provide cost-effective transfers by a variety of vehicles (car/van/bus) to/from the airports of Sofia and Plovdiv to the ski resort of Borovets. You can choose between shared, semi-private and private transfers. More details about the transfers, our price list as well as your online booking option you can find HERE. You can also book the transfers as part of your ski package – a discounted semi-private service at the price of a shared transfer!